So, it finally happened. Your best friend decided to pop the question to his girlfriend and she said yes. Now the focus is on you, the best man. 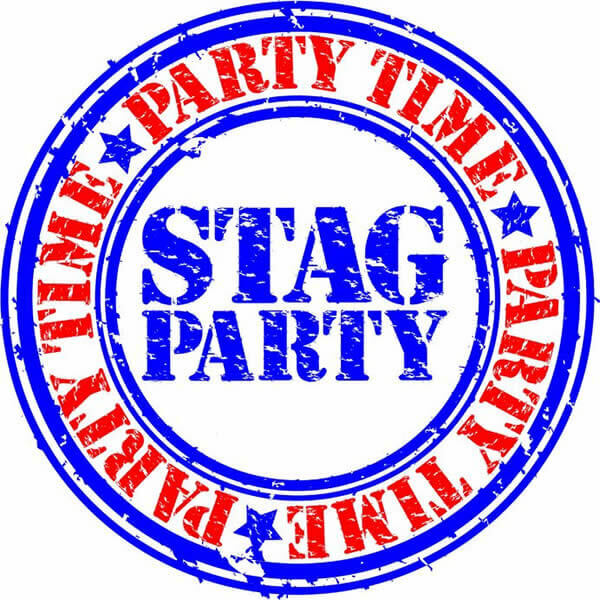 It is up to you to arrange the most epic stag do in history. It’s a lot of pressure to put on one man, but you know him better than anyone, and what this stag needs are his mates, beer and football. Sure, that’s the same as most weekends but with a few simple twists, this could become one of the greatest short breaks ever. With a few tips and suggestions this guide will help you avoid the pitfalls and put on a stag do for the ages. Watching your own team or country is one of the best things about sport. That fierce, burning passion and loyalty makes even a dull cup tie feel critical. But wouldn’t it be nice to sometimes relax and enjoy football for the incredible spectacle that it is? You know the feeling, it’s just like watching a world cup after England have long since headed back to Stanstead. It’s great to watch the game in the pub with the lads but why stand in front of a television when you could be in the stadium seeing Barcelona superstars Neymar, Luis Suarez and Lionel Messi right before your eyes? It’s a simple plan really. Look up the fixture list, pick a match, and head out on the continent to check out one of Europe’s finest teams. No matter the result you will all have a great time. Just don’t – Book anything without double checking the fixtures, you don’t want to turn up in Barcelona and find that the game is in Madrid. Even if your trip is going to be in the barren months between seasons, that’s no reason to miss out on having an amazing football experience in Europe. Most clubs and national stadiums offer extensive tours allowing you to learn about the great players and amazing matches that have taken place there over the years. One of the most prized exhibits on display during the Wembley stadium tour, for example, is the crossbar from the 1966 World Cup final. There is something surreal standing in an empty 60,000-plus capacity arena when there aren’t even posts, nets, or corner flags. Without the anxiety and energy of match days, it is rather unique chance to admire the incredible venues that we take for granted week in, week out. Having said that, the best part of a tour is always the moment you are allowed a peek behind the curtain at what it is like on match days. Check out the executive boxes before seeing the dressing rooms and walking out of the tunnel to a roaring crowd… well, you’ll have to imagine the crowd. Just don’t – Take a photo of you posing and pretending to be a manager in the dugout at the Allianz Arena. It’ll be hilarious until it’s on Facebook. If you are looking for something unique and based in the UK, there are a range of fun variants of football that would be sure to bring out the competitive side of any stag group. For any fan of pub sports, Football pool might well be the perfect game. This fun hybrid, that combines the rules of pool with football, is played on a 12ft x 8ft table. It is a one-on-one game so you may have to plan a tournament to keep the whole party involved. Remember to include forfeits for the losers; it makes waiting between turns so much more entertaining. A different kind of challenge is Binocular football. Everyone must wear a mask that limits your vision, making for a challenging twist as everyone has to listen for the ball. Make sure you have someone filming, there will be plenty of hilarious trips, falls and missed chances to laugh about later. Just don’t – Put drinks on the pool table – stick to the pub rules chaps. Available all around the country, Bubble football is basically five-a-side, but with a unique twist. Each player has their upper body strapped into a large, plastic zorb ball making the team photo look like a parade of half-dressed mascots. As soon as the whistle blows, you’ll notice that every time two players make contact, both will fall to the ground. Without the use of your arms, it can make for some hilarious situations. From then on the game is less about football and more about attempting to make incredible diving saves or crazy tackles. Just don’t – Celebrate a goal by piling on top of the scorer – it’s going to hurt! Arranging a special stag do match might seem like the easy option, especially if you play Powerleague most weeks. However, getting the unsuspecting groom into the changing room to see one of his childhood footballing heroes ready to give a pep talk, makes for an amazing surprise. Sessions where your team get to play with an ex-pro are surprisingly common, and for those who grew up watching football in the 80s and 90s it is a special treat to not only play with a legend, but to have a chat and a pint with him after the game as well. The groom might have expected a good night out, but to play alongside his hero? Chances are he would choose to keep a photo of this day on his desk rather than his wedding pictures! Just don’t – Book a player from a rival club. The stag won’t find it as funny as you do if he has to pretend to support the legend’s club all evening. For the football loving groom, there are so many options that you can hardly go wrong, just be sure to plan your weekend closely. Nobody wants to find out the match has been rescheduled or to miss the first half because the stadium is an hour away from the train station, or the tickets were fake because you bought them from a dodgy website. Likewise, make sure the whole team is good at keeping secrets. It’s always more fun if the groom has no idea what is planned until you arrive.